Last week in my local newspaper, I saw an advertisement that surprised me . This was an ad that ran across the bottom third of the front page of our local newspaper. Front page ads are rare, and very expensive. The surprise, however, is that this was an ad for Rotary. The ad did not advertise an event. Rather, the ad was essentially a recruitment for members. As such, it was surprising at many levels. First, I had assumed that Rotary was a booming club that did not have to recruit new members. Clearly, that is no longer the case. It’s not just fraternal organizations that see diminishing memberships – apparently, clubs are experiencing this downward trend, as well. Second, the ad gave the impression of a needy organization. Third, and perhaps most importantly, that ad was not going to be effective. It provided no reason or incentive for anyone to join. It was just a raw, impersonal solicitation. And this got me thinking about the entire subject of “publicity” on behalf of organizations, be they clubs or fraternities. It’s an important subject. Yet publicity is often underutilized, or poorly utilized. I know a thing or two about publicity. I hold a Bachelor of Science in Journalism, and have spent the early part of my working career in that field. I have been the Publicity Chair as well as the Membership Chair of my Lodge for over a decade. In that decade, my Lodge membership has increased by 1,000%. There are three types of publicity: (1) No publicity; (2) Bad publicity; and (3) Good publicity. 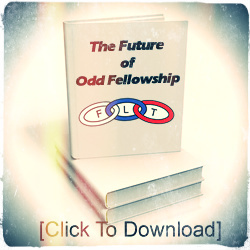 No publicity is the state of life for the majority of our Odd Fellow Lodges, unfortunately. These Lodges do virtually no activity in the community, and there is precious little, if any, outreach in the way of advertisements, posters, ads, brochures, emails or use of social media. “No publicity” Lodges are invisible in their communities, and because of the invisibility membership numbers show steady declines. 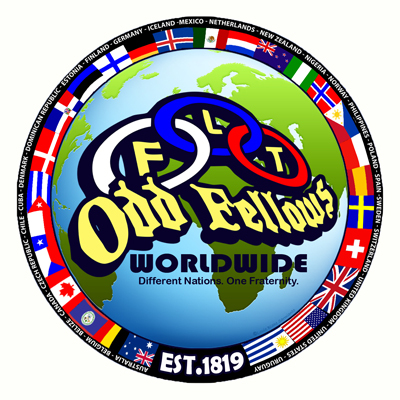 An Odd Fellows Lodge will not long exist if the only folks who join are members of the family of existing Lodge members. No publicity is the worst possible scenario for a Lodge’s growth and development. Regrettably, bad publicity is the norm for many Odd Fellow Lodges. Bad publicity is only a small step up from the realm of no publicity. We begin with the proposition that a fraternal order can live for centuries (far past the normal lifespan of an individual) if it continues to attract new members. It is the nature of a fraternity that it must attract younger members. If a Lodge is composed only of members in their 70’s and new members are also in their 70’s – that Lodge is in serious trouble; in 10 years the membership will all be in their 80’s, and so on. So, all that being the case, let me give you an example (one that I have seen all too frequently) of “bad publicity.” If a Lodge wants to attract young men and women to its ranks, it will fail to do so if it sends a photo to the paper showing several Lodge members at a potluck who are in their 70’s and overweight. What message is the Lodge sending with such a photo? Dining with septuagenarians will only attract more septuagenarians. If a Lodge wants to attract a younger crowd, the Lodge needs to plan events featuring music, or hikes or other dynamic endeavors, and send along photos of young men and women enjoying the activity. Good publicity is critical to success for a Lodge. Let’s assume a Lodge provides lots of activities for members, and also reaches out into the community to help others. Those are excellent functions for a Lodge, and can translate into applications for membership. However, if there is a failure to provide publicity both before and after the events, then the tree has fallen in the forest and no one has seen it. A Lodge must not only come up with good events, but it must strive for good publicity about them. Let me give you another example. Years ago my Lodge resolved to set a Guinness World Record by having the longest line of people riding bikes in a row. We did it, and attracted thousands of people to the event (and hundreds of participants) – plus full coverage by local media (both print and electronic). The result was a remarkable amount of positive publicity, high visibility for Odd Fellowship, and several applications for membership. And make no mistake about it – social media is the preferred tool for folks under 50. We have to accept the fact that fewer and fewer people are reading newspapers in print. The newer generations are all about Facebook, Snapchat, Twitter, and other forms of social media. If a Lodge is not on social media, it is invisible to the younger generations. 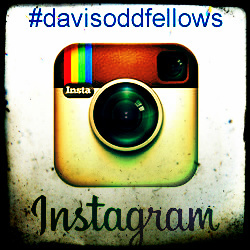 Odd Fellows Lodges fail to use social media at their peril.